I'm looking into 50mm primes for my GH1. I think I've got it narrowed down to two - the Takumar SMC 50mm 1.4 or the Minolta Rokkor MC. I'm hoping one of the two will match well with the kits lens and 20mm pancake (color, sharpness, contrast, etc). I don't have experience with either of those lenses, but I recently purchased an AF NIKKOR 50mm f/1.4D, and I'm quite happy with it. It does seem a bit soft wide open, but that is probably a focus problem on my part, as much as anything. It's low-light performance is a little better than the pancake lens, as you'd expect. Overall, I'm pleased with it. In general, I've found Nikkor lenses match the Panasonic lenses quite well, at least colour wise. Of course, there's no autofocus, but for video we get by without it. I had a chance to buy both of these. You have to choose based on your desires. They will look different than each other. I passed on both and bought a Nikon 50 and a Fujinon. I am THRILLED with the look of both, but they are very different from each other. The SMC Tak is going to be warmer most likely than the Minolta. I wouldn't think either would match the modern glass on GH1, but I couldn't say for sure. Thanks Perrone and Kevin. I appreciate the input. I've read rave reviews of the SMC Tak, which is why I was interested. ANd I saw a video on vimeo where both the pancake and the Tak were used and looked very complimentary (I don't believe much CC was done on the shots). Maybe the cooler look of the Minolta is worth looking at ... and it only costs $55. Like you said Perrone, I could buy both and sell the one I don't like ... too bad you have to buy the adaptors for these as well! And Kevin, how're you liking the weather this morning? Frosty huh? What part of Calgary do you live in? I'm in the SW ... we should connect. The M42 adapters I got were $6. Hardly a concern. Honestly, if you can afford it, just buy both. The 50-55mm length tend to make nice portrait or 2-shot lenses, and sometimes having a slightly different look is very welcome. Plus they are super cheap. The M42 adapters I got were $6. Where'd you find adaptors for $6? I have a Pentax SMC 50mm F1.4 in k mount, that I prefer over my Nikon 50mm F 1.4 for video. Not sure why, it just seems to feel more organic ?? Older 1970 models. I just bought a second one with the black "nose" that I haven't tested yet, but the first one was like this photo attached. Ah ok. Mine is from the generation before that. Before Nikon was called Nikon... And I think it looks VERY organic. But hey, that's why there are so many of these things. Everyone likes something a bit different. Even different looks film to film. I think it is more of a color thing., which can be changed in post to some extent anyway. 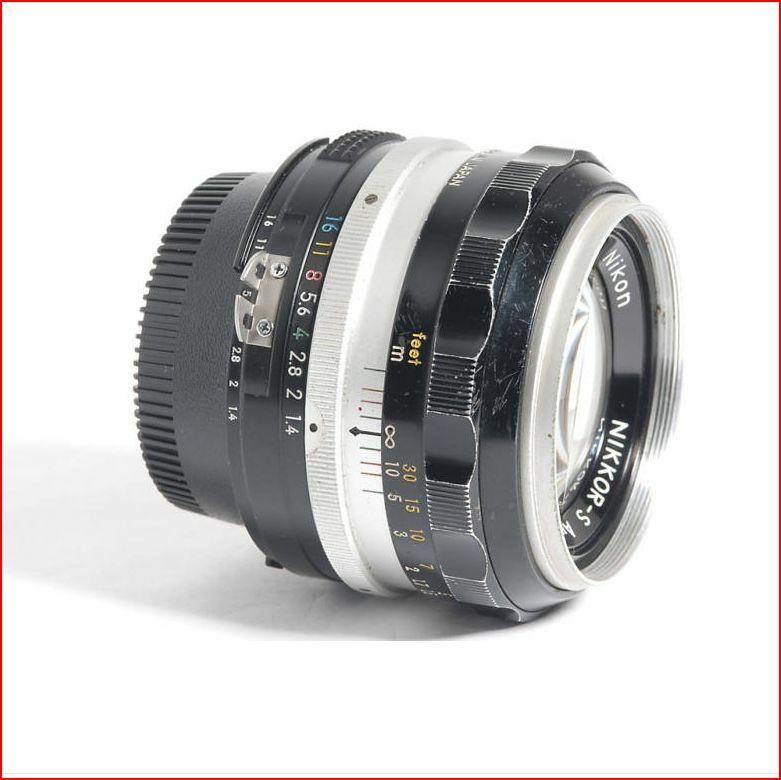 Interstingly, for the particular (cheap DFocus) follow focus I use, the Nikon lens, because of length, and also because my circular filters are all set to 52mm, works better. So I will opt for it in most of those situations. Interesting ... is Perrone right that the color is warmer than the Panasonic's? Have/would you use the kit lens together with the SMC? Right you are my friend. Apologies for the misquote. By the way, with my HDV camera (Sony A1E) I found underexposing by one or two stops generally gave the best image (a bit more saturation). Any opinions on whether this holds true for the GH1?